Whether you are simply removing leaves from your gutters, repairing a roof leak or replacing a roof, you should take the necessary roof safety precautions. The roof comes with its own particular dangerous – such as falling, slipping or inquiring yourself. 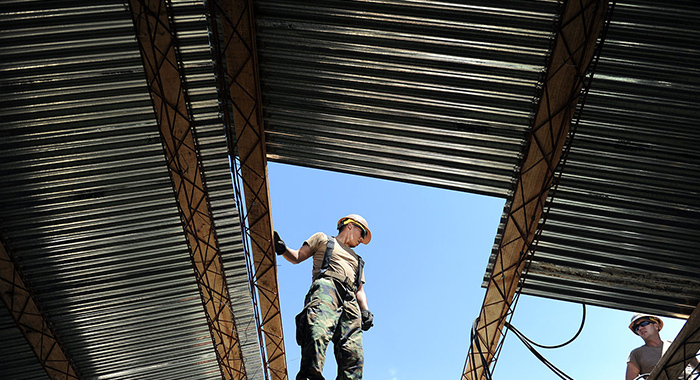 To avoid any unpleasant situation, here are some of our tips when it comes to roof safety. First thing you should have, if you want to reach the top of your roof, is an extension ladder. When purchasing one, be sure that it’s resistant, so that you won’t have any surprises when climbing. Its hinges should be strong and resistant. A good ladder should reach past the edge of the roof. This will ensure that you will be able to get on and off the roof safely. 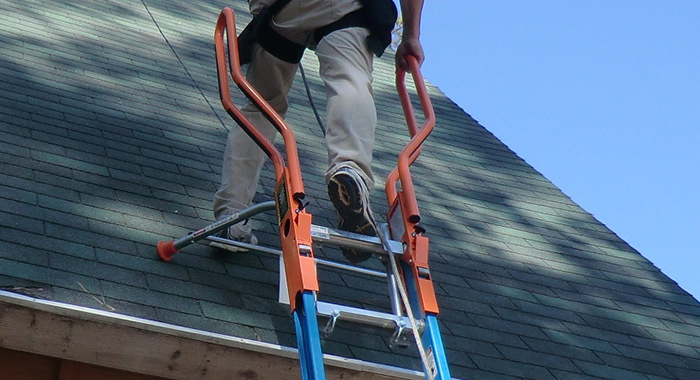 There are products readily available like Ladder Locks which secures your ladder to the roof. If your ladder is not secured to your roof, we recommend asking a friend or family member to hold the ladder whilst you climb up or down. 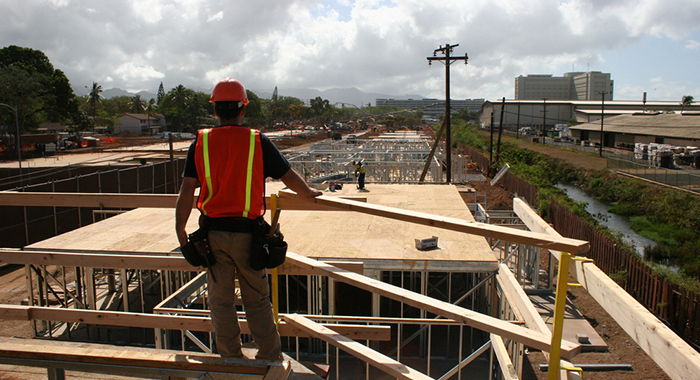 Having a strong, resistant harness is an important roof safety measure. When safety nets or guardrails are not present, personal fall protection is a must. However, before getting to work, remember to adjust to it. Knowing how to use this safety tool is a must to avoid severe injuries or even death from a fall. One of the simplest safety precautions that anyone can take is also one of the most ignored. There is no doubt that safety hats save lives. Wearing it is one of the first things to do when doing work around the house. Anyone who is doing roof work should implement a system of roof jacks or walk boards. By placing wood boards near your working area, you will avoid injuries or even death from falling off the roof. This system is particularly important for high pitched roofs. Last but not least, follow a safety plan. Note what the possible risks for the task is, so that you can avoid them; also, note what protection you should use for each task. 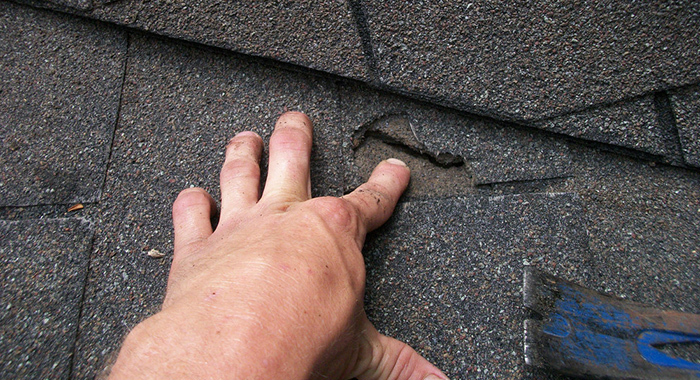 This is the most important aspect to take into consideration when repairing or building a roof. Safety measures should be taken, but you should also know what steps to take. This method saves time, and it might also save lives. If you’re not entirely familiar with roof work or do not have the required equipment or no how, we always recommend hiring a professional. 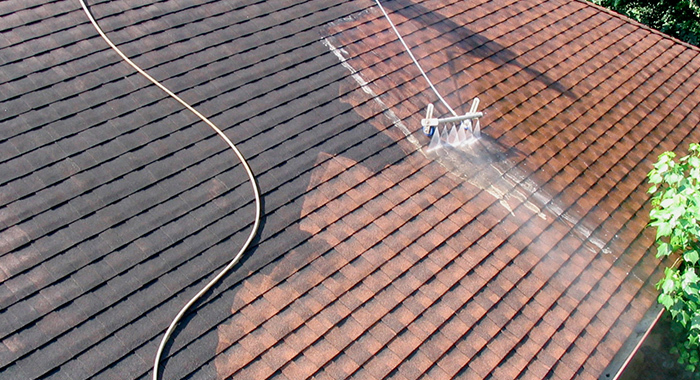 What’s more, professional roofers can usually do the job quicker and more efficiently.